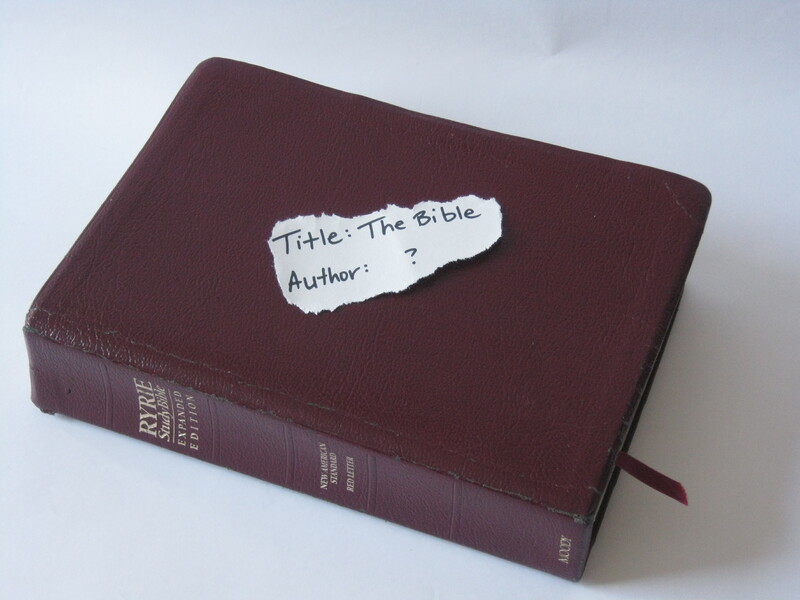 It’s pretty easy to guess who wrote the books with their names attached to them – like Matthew or Ezra or Jeremiah. But what about the others? What about Genesis? Or Judges? Or Hebrews? And who were these people? Should they be trusted? Even if you’ve never wondered about the answer to these questions, no doubt your kids – or their friends – will. This is the latest installment of posts aimed at helping you to discuss theological questions with your children. Here are four answers to the question: Who wrote the Bible? One way to answer this question is to say that God wrote the Bible. He didn’t actually put ‘reed to papyrus’, so to speak, but He did inspire the authors of the books to write what they did (2 Tim 3:16 – all scripture is God breathed). The Bible constantly declares that it is God’s word (e.g. 2 Pet 1:21). Jesus also affirmed the Old Testament prophets and their messages as coming from God (Matthew 23:34-36, Luke 24:44). Another way to answer this question is to say that over 40 different people contributed to writing the Bible, over a time span of almost 1,400 years. They ranged from kings to shepherds, from fishermen to scholars, and almost everything in between. The books were written in different countries (throughout Asia, Africa, Europe), in different locations (palaces, dungeons, while travelling, in the wilderness) and in three languages: Aramaic, Hebrew and Greek. A third way to answer this question is to say that the Bible was written by people who were known and respected as authoritative representatives of God’s word by the people who knew them. In some cases, the Bible itself tells how they qualify as prophets or authorities to administer the word of God (e.g. Solomon – 1 King 4:29; or David – 2 Sam 23:2; or Paul’s works – Gal 1-2). In other cases, the authors were acknowledged as Godly leaders with the authority of a prophet or apostle of God (e.g. Moses, Ezra, James the half-brother of Jesus, Peter the apostle). The best answer to the question is all of these answers together. To tell someone who doubts the Bible that ‘God wrote it’ will only go so far. To list a bunch of names ignores the breadth of time, geography and tradition that the writers lived over, and the fact that the entire work is consistent on one theme: God’s interaction and plan of salvation for humanity. The Bible truly is an amazing and unique work. I personally suggest asking your kids who wrote the Bible before they ask you. Then use these points to discuss the question with them.